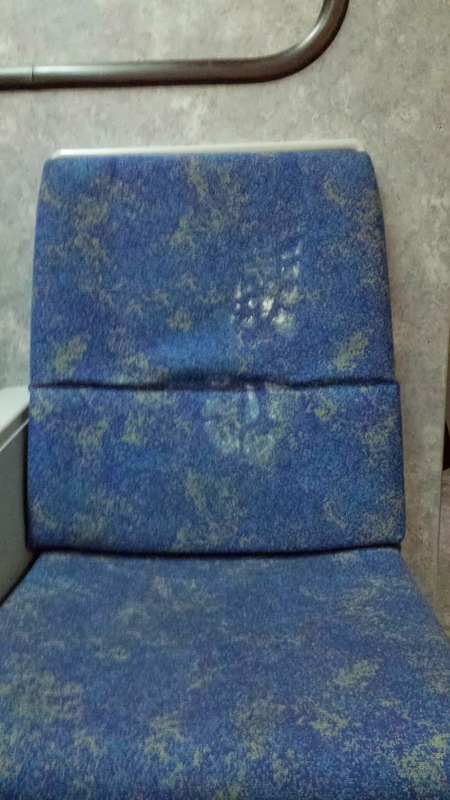 Because no one ever would wind up sitting in this seat at some point during this train's service, some jerk decided the back part of this seat made for a perfect footstool and pressed his or salt-strained boot into the fabric (Meh, says Vito Loreti). Thank goodness we don't know who did this. God forbid I say anything to the jerk. Right? Because, yeah, this is perfectly acceptable when shoes/boots/sandals are "dry".